The gas locker on our van is designed to take 2x6kg bottles. On average a bottle lasts us over a year so theoretically a 3.9kg bottle will last 8 months which I have decided I can live with. 1. The difference in the weight of the gas with the steel bottles x 2 saves me approx 12kg on total van weight (a lot when sailing close to the wind). 2. 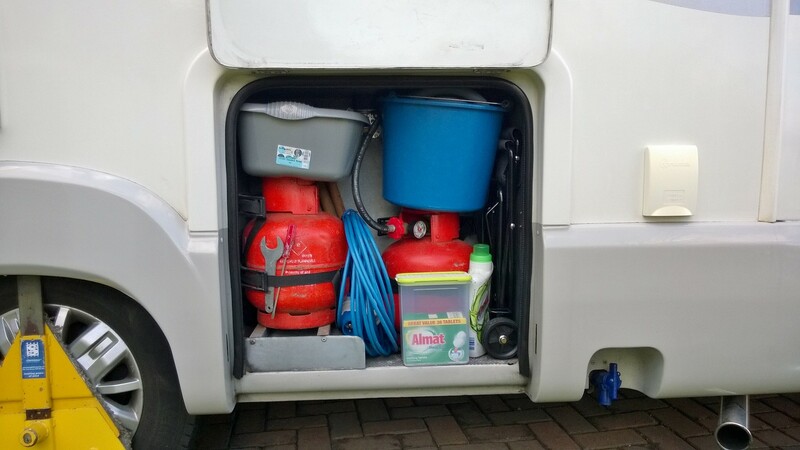 A lot of additional storage space for buckets and things I would rather not have inside the van – see photo.